A major internal conflict I have been facing lately has been what to do beyond my current rental lease. Earlier in the year I was scouring the market searching for my perfect starter home. I have been reading up a lot lately and seeing comparison charts of the difference between buying vs. renting over a 30 year time frame and holy cow what a difference! Based on this chart, over a period of 30-years there was an additional expenditure of almost $300,000 based on me buying a home worth around $100,000 and me renting a place for a price similar to what that mortgage would be. Mind blown! The first house I put an offer in went off without a hitch but I came into some issues with it that made it no longer a feasible option so I decided to pump the brakes a bit and evaluate my situation. I understand the concept that paying rent is just throwing away money and buying a house is building equity and putting in to something that you will see a return on but is it worth it as a single (not married) female? Less commitment; I can move whenever I want. As you can see there is obviously a major upside to buying but as a single female I still have some major reservations on buying a property that I don’t know if I will be able to maintain. What are your thoughts? What would you choose? It all comes down to the numbers. 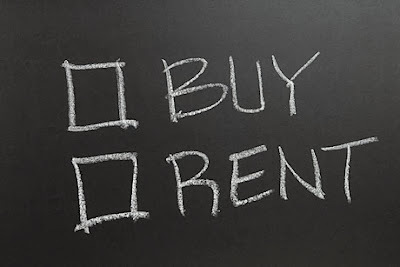 Are you better off financially to rent or to buy? I know that being young you don’t necessarily want to be burdened with home ownership straight away, but I really wish I had bought earlier and not wasted money on paying someone else’s mortgage. I feel like I’d be better of financially buying solely because of the ROI and I’ve found homes that are only slightly more expensive then renting a place less than half the size. It’s just biting the bullet and hoping a sink doesn’t break or something that’s holding me back I think! Jump in with both feet! Just make sure you don’t over stretch yourself. Obviously buy a place with good fundamentals, in case you want to sell it or rent it out in the future. That’s the goal, I’d like to eventually rent it out. 🙂 My goal is to start with one and eventually have a good set of rental homes that I own and manage.